As part of Hasbro Entertainment, Boulder Media is building a new feature animation division. We are excited to offer a talented Animator the opportunity to join our very successful and established animation studio as we expand into a new area. We will be producing the first CG theatrical feature film made entirely in Ireland. The movie is based on a very well-known Hasbro property and we can’t wait to bring it to the big screen for the first time. Responsible for expediting high quality character animation for feature films. Work closely with Animation Supervisors/Leads to create skilled animation with strong acting performances and convincing motion. Working directly with Animation Director giving notes and attending dailies. Help maintain the level of the animation for the seq. Organizing work according to priorities and deadlines. Following artistic and technical guidelines. Involving yourself in key decisions that would affect your department. Experience in feature animation is preferred. Strong knowledge of acting, posing, weight, timing, animal and human motion. Ability to work within a team, prioritize tasks and meet tight deadlines with production. Must communicate well and be able to take notes and direction. Have a good technical understanding of models and rigs. 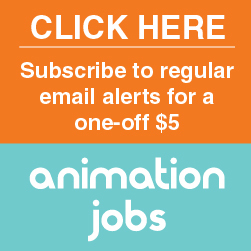 Job Categories: 3D Animation. Job Types: Full-Time. Job expires in 15 days.